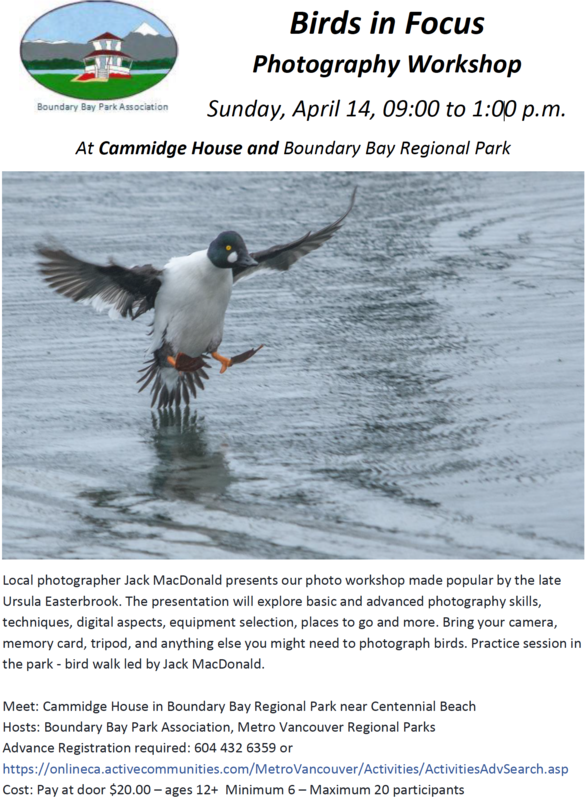 Click on photo to see larger version More than 30 participants enjoyed a beautiful warm Wednesday morning on our quarterly Birds on the Bay outing in Boundary Bay Regional Park. 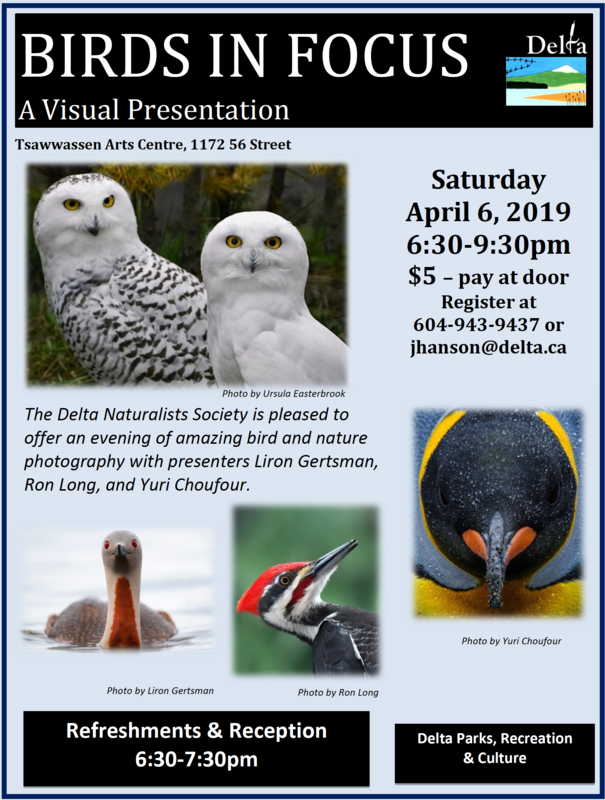 Hi-lites included: Ruddy Turnstone, Western Tanager, Red-necked Phalarope, Ruddy Shelducks and delicious home-made goodies by the Delta Nats Ladies. Check out Terry’s, Tony’s, Roger’s and Glen’s photos on the DNCB Picasa link. Following sign-up and introductions at 9:00 a.m. the eclectic group of regulars along with many newbies and international (Japan, USA, Britain) and local visitors, the huge group set off from Cammidge House (CH) toward Centennial Beach. Not much seen around CH other than a few Barn Swallows and speckled Starlings. We roused a flock of Mallards resting in the slough by the road. 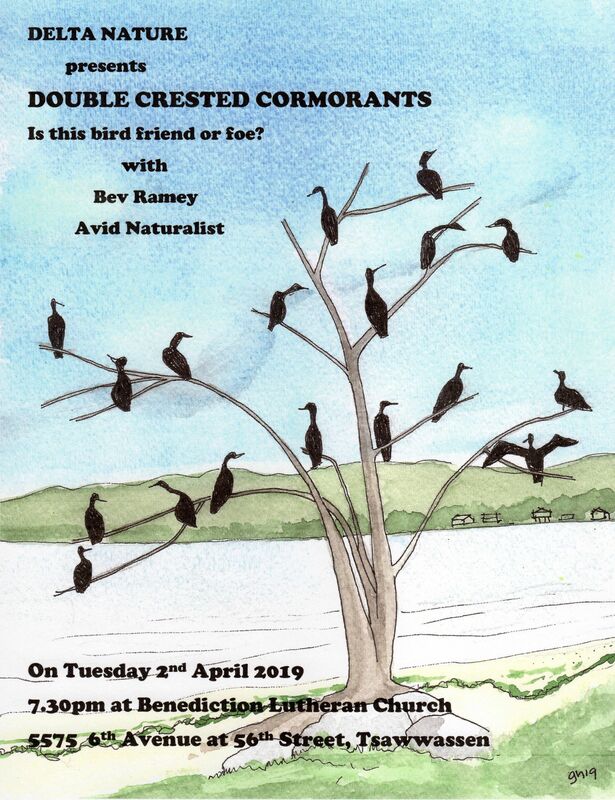 Approaching the pond near the beach, a flock of small birds were flitting high in the trees. Some got decent looks at Warbler species including Yellow-rumped and Orange-crowned, perhaps Wilson’s, and a nice Western Tanager. In the pond was one Green-winged Teal among the Mallards. We moved across the sand to the shoreline and scoped the rafts of birds which were far away as the tide was out. We recognized a few Common Loons and lots of Northern Pintails. and several Anna’s Hummingbirds. Being Fall, the birds were not singing. Some saw Common Yellowthroats and a few Northern Harriers gave neat fly-pasts. Ken took one of the obligatory Group Photos at the Lookout. We continued along the dike path toward the Pump House. A few Killdeer were in the mud flats and our photogs enjoyed taking shots of Great Blue Herons weirdly posing in trees. At the Pump House Lookout were lots of gulls and we identified Ring-billed and Mew among the Glaucous-winged. We scanned the Canada Geese in vain for the Ruddy Shelducks (probably escapees), but a few adventurers walked further down the path to the 12th Street entrance and found them. They also saw a Red-necked Phalarope with the three birds (see our Picasa photos). We followed the inland path back to CH. No Tree Swallows were seen around our Delta Nats nesting boxes; gone south. 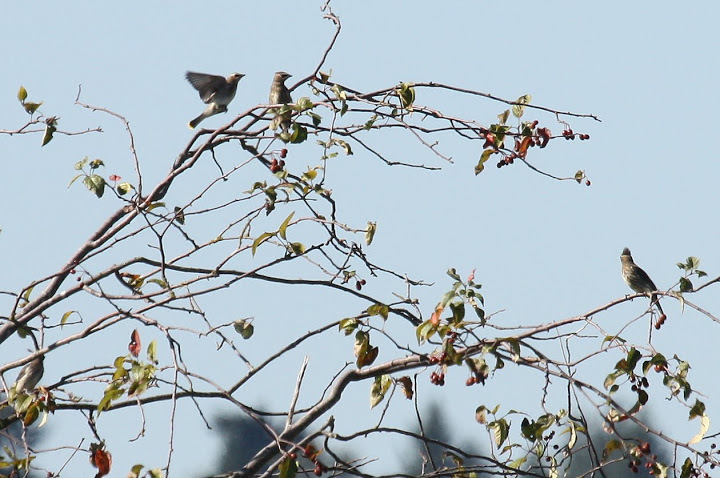 Among a flock of Cedar Waxwings in a tree, we spotted another Western Tanager (or the same bird as seen earlier). 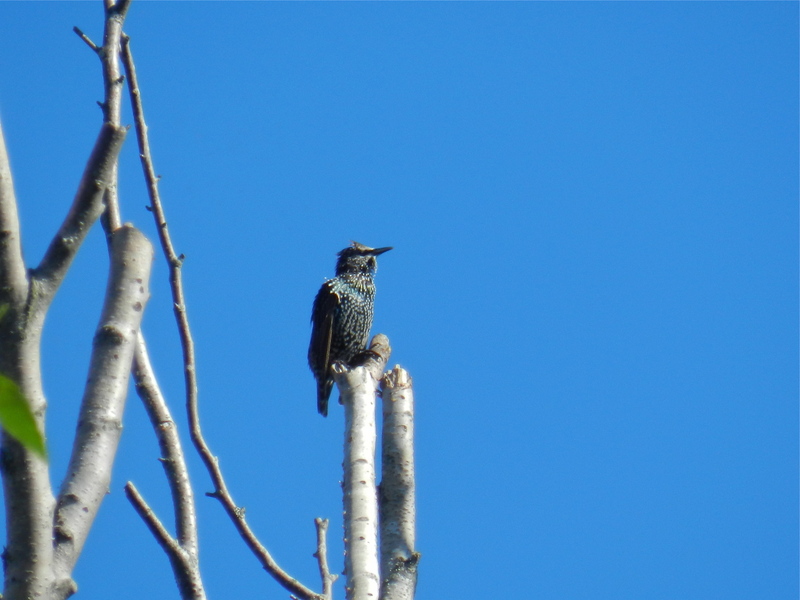 A huge Flicker-like Starling caught our attention; size can often be deceiving. We searched unsuccessfully for the common Marsh Wrens and interestingly Anne saw a Bewick’s Wren. 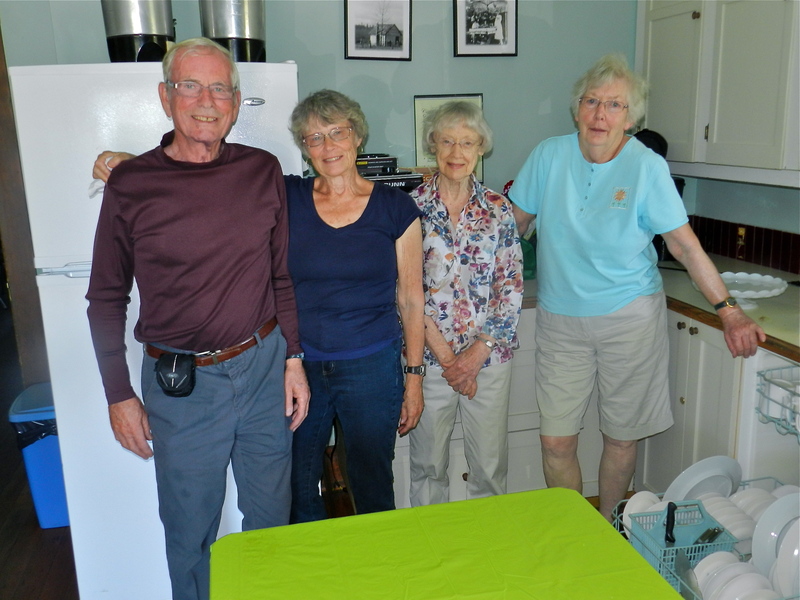 We got back to CH right on time at 11:30 a.m. where the Delta Nats Ladies, Rochelle, Jennifer, Eleanor, Sandra and their godfather Dr. Don welcomed us with a tasty array of sandwiches, biscuits, breads, muffins, cheeses and fruit. Roger took the 2nd Group Photo on the CH steps, which included the eminent, notorious birders from Kingston, Ontario, Don & Marlene B. It was another very successful and enjoyable DNCB morning. 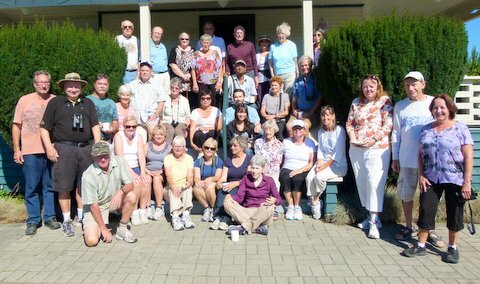 Next Wednesday, Sept. 18, we will meet at and leave from Petra’s at 7:30 a.m. on an outing to Point Roberts, USA. Bring your Passport. This entry was posted in *DNCB, Birds-on-the-Bay, Boundary Bay, Cammidge House, Centennial Beach, Northern Harrier, Red-necked Phalarope, Ruddy Shelduck, Western Tanager. Bookmark the permalink.